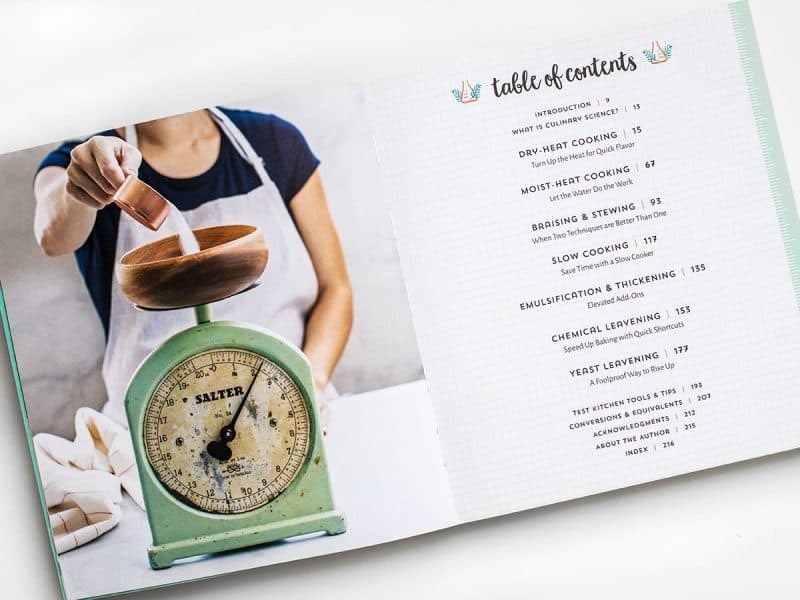 It’s always very exciting when my friends publish cookbooks, but the new cookbook Easy Culinary Science for Better Cooking by Jessica Gavin is one that I’m extra stoked about. 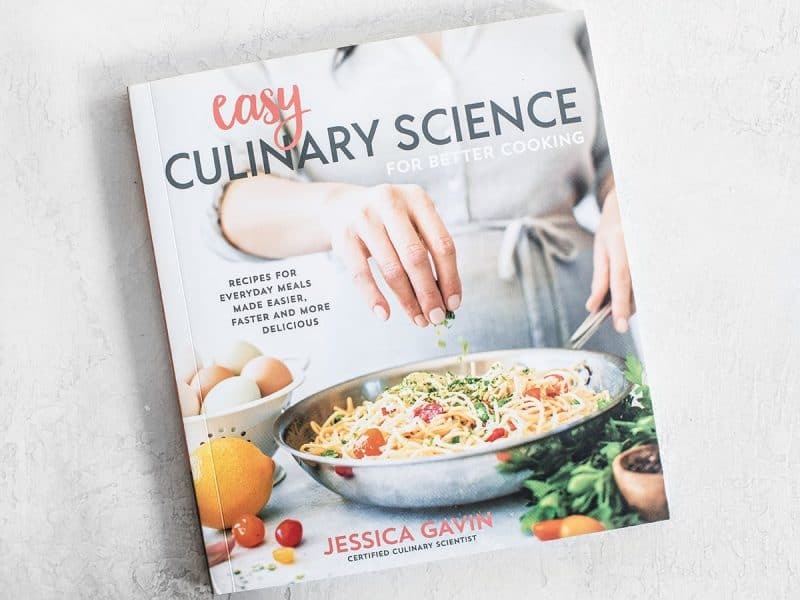 You see, science is one of the reasons I love cooking and Jessica is a Certified Culinary Scientist, so her new book is full of all sorts of fun science-y extras to help you become a better and more intuitive cook. 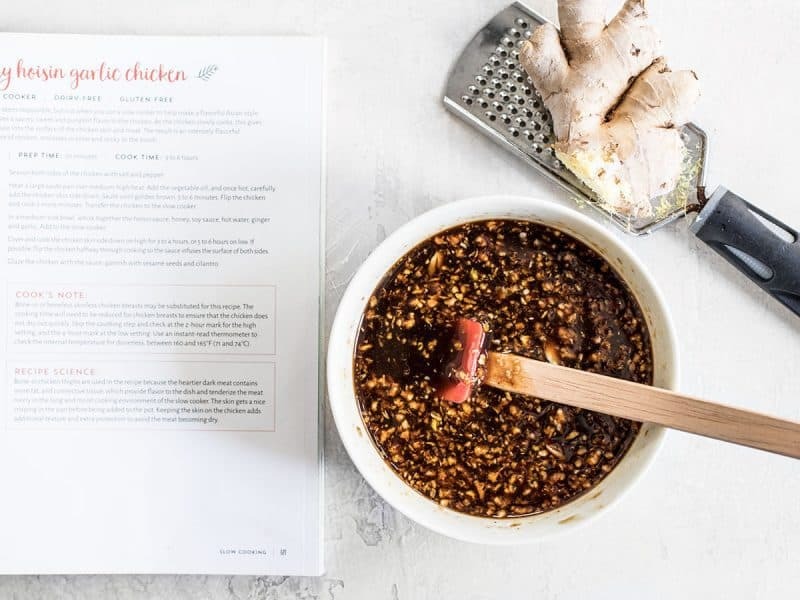 Jessica was kind enough to let me publish one of the recipes from the book, Honey Hoisin Garlic Chicken, on my site, so I really hope it sparks some interest in you and you go check out the rest of the book. It’s one that I highly recommend for all new cooks, or those who just love the science behind cooking, like me. :) This is NOT a sponsored post, I’m just excited about it and I think you’ll love it! 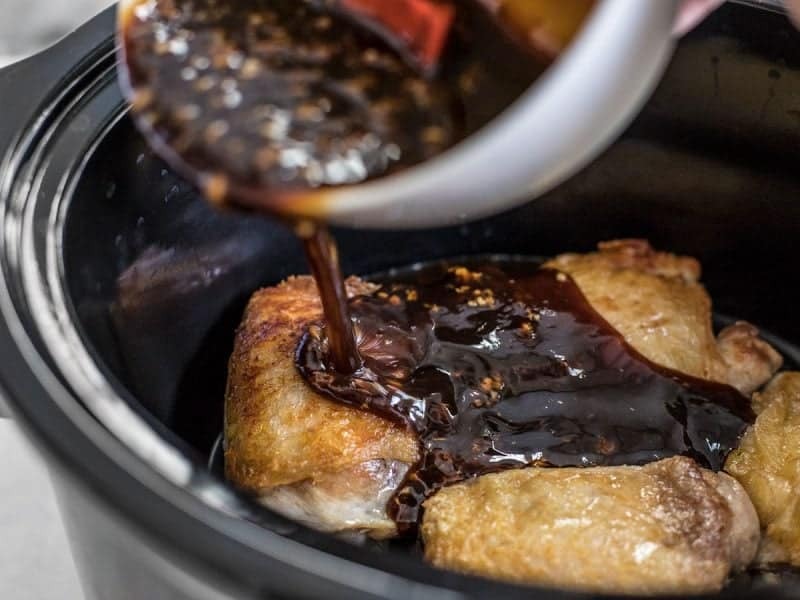 The recipe I chose to share is the Honey Hoisin Garlic Chicken, which is a super simple slow cooker recipe that you could throw together before you go to work in the morning and have ready when you get home. 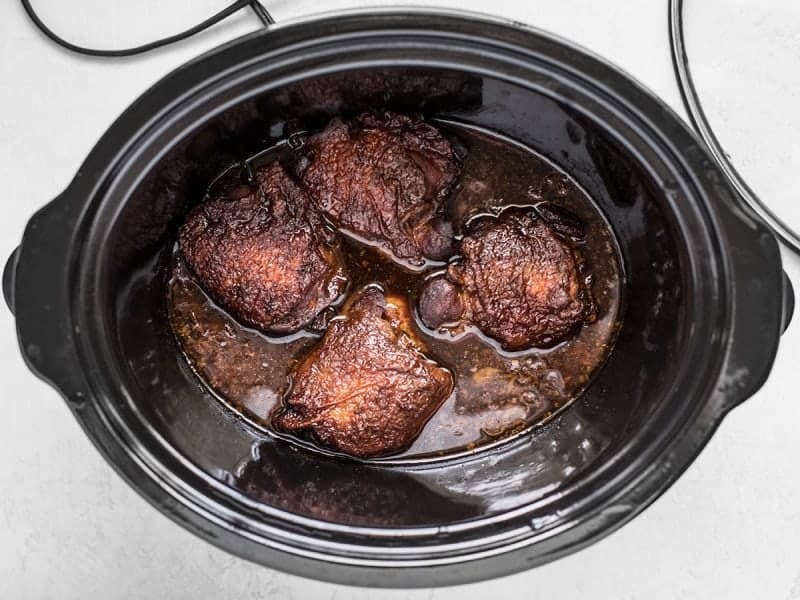 This recipe highlights the science behind slow cooking, which is one of the moist heat cooking techniques. 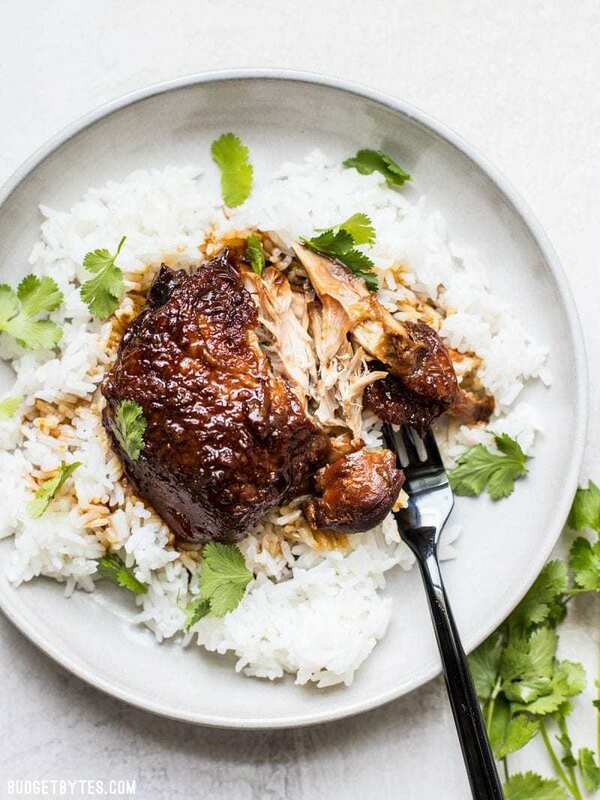 The low, slow, and moist cooking environment breaks down the fat and connective tissues in the bone-in chicken thighs to produce incredible flavor and a melt-in-your-mouth texture. 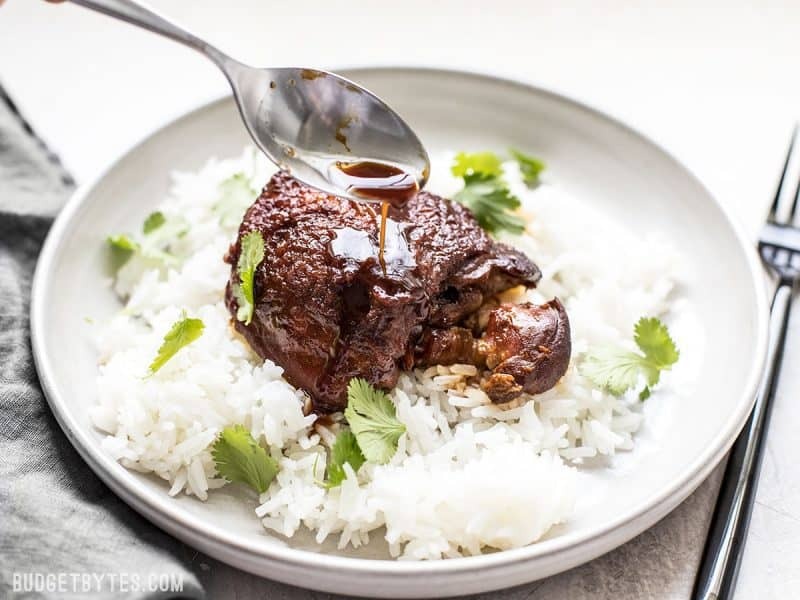 The sugars from the honey caramelize in the slow cooker producing a wonderfully deep flavor and an almost candy-like quality in the chicken skin. It’s heaven. Pair this chicken with some cooked rice and steamed broccoli and you have the easiest meal prep ever! Heat a large skillet over medium-high heat, then add the vegetable oil and swirl to coat the surface of the skillet. Add the chicken, skin side down, and sauté until golden brown (about 5-6 minutes). Flip the chicken and cook 2 minutes more. Transfer the chicken to the slow cooker. In a medium bowl, whisk together the hoisin sauce, soy sauce, honey, water, ginger, and garlic. 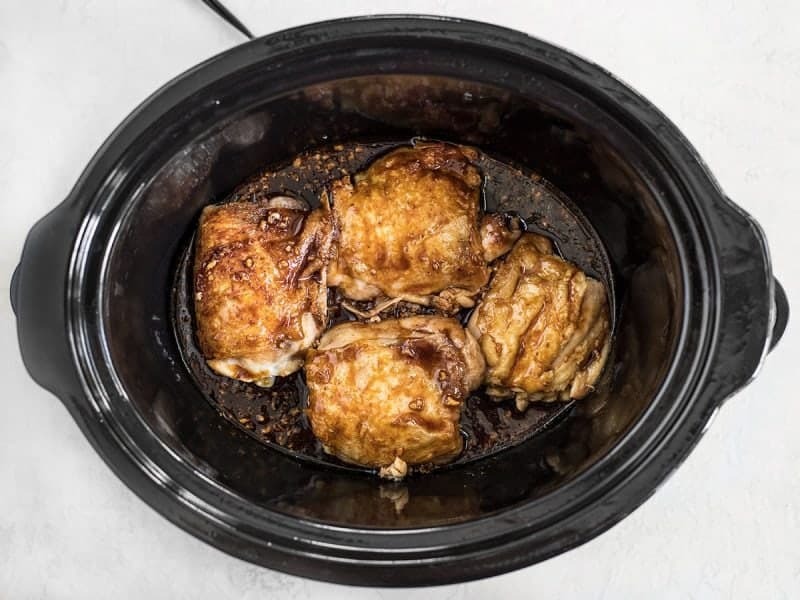 Pour the sauce over the chicken in the slow cooker. Cover and cook the chicken on high for 3-4 hours, or low on low for 5-6 hours. Flip the chicken half-way through to make sure all of the chicken infuses with the sauce. 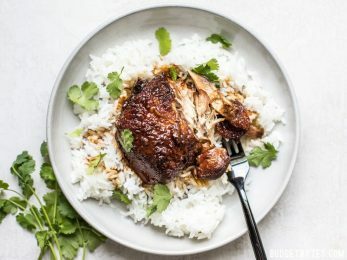 To serve, spoon the chicken over a bed of rice, drizzle the sauce from the slow cooker over top, then garnish with sesame seeds and cilantro (if desired). *While bone-in, skin-on thighs provide the best flavor for this dish, you can use boneless and skinless thighs or breasts. If using skinless meat, you can skip the sautéing step and add the meat straight to the slow cooker. Keep in mind that white meat can dry out faster than dark meat and the cooking time may need to be reduced accordingly. Bone-in, skin-on chicken creates the best flavor for this recipe, although you can use boneless and skinless thighs or breasts. I used about 2 lbs. bone-in, skin-on chicken thighs. 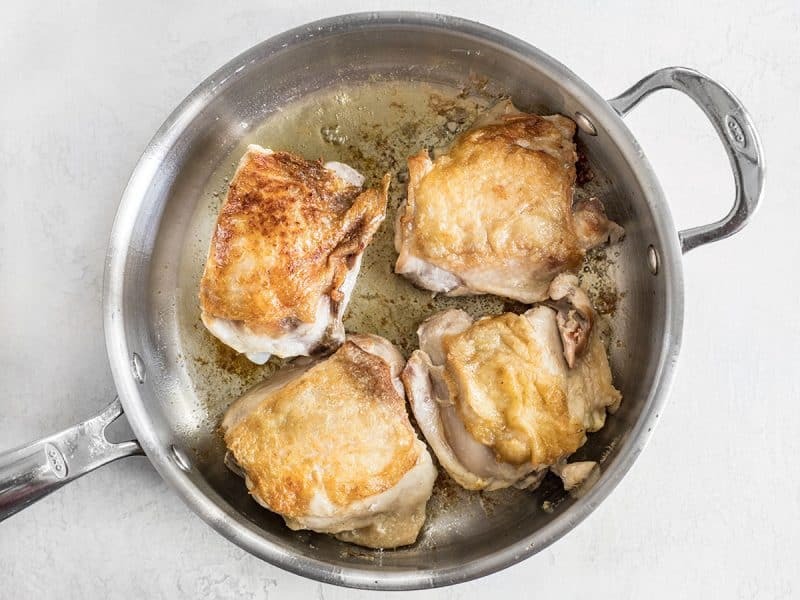 If using skin-on chicken, you’ll want to brown it first for maximum flavor, but you can skip this step if you’re using skinless chicken. Heat a large skillet on medium-high, then once hot add 2 Tbsp vegetable oil. Swirl to coat the surface of the skillet, then add the chicken pieces skin side down. Sauté for about 5-6 minutes, or until the skin is golden brown. Flip the chicken and cook for about 2 minutes more. 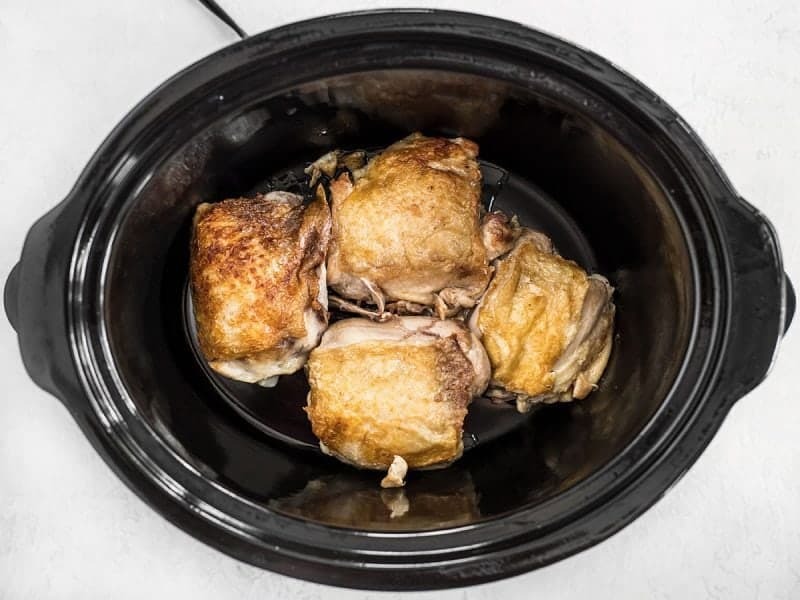 Place the browned chicken in the slow cooker. To create the sauce, whisk together 1/3 cup hoisin sauce, 1/3 cup honey, 1/3 cup soy sauce, 1 tsp minced ginger (I actually grated mine because it was frozen), four cloves of minced garlic, and 2 Tbsp hot water. I made sure to get some of the sauce over the surface of each piece of chicken. The sauce will not completely cover the chicken, but that’s okay because you’ll flip the chicken half way through. Cook the chicken on high for 3-4 hours, or on low for 5-6 hours. Flip the chicken once half way through to make sure all of the meat gets infused with the awesome sauce. And keep in mind that if you’re using skinless white meat, like chicken breasts, you may need to cook for less time to prevent the meat from drying out. The post Jessica Gavin’s Honey Hoisin Garlic Chicken appeared first on Budget Bytes.